3rd Fl., Room No. 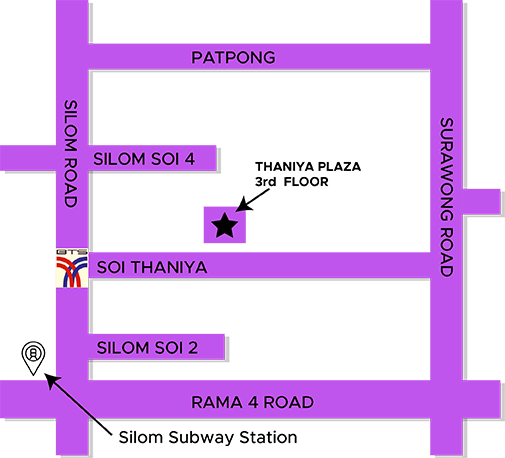 322-323, Thaniya Plaza, Soi Thaniya, (Between Silom Soi 2&4) Silom Rd, Bangkok. Bangkok’s premier barber and hair salon specializing in hair cutting and coloring.